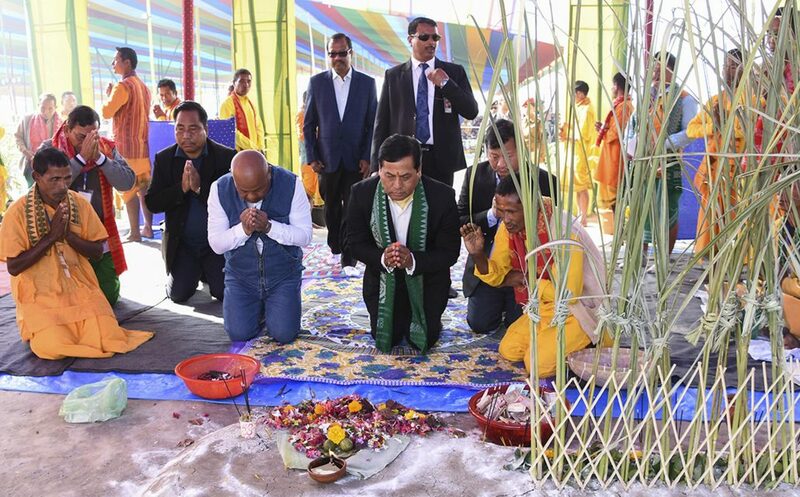 Assam chief minister Sarbananda Sonowal on Tuesday said the people belonging to Bodo community are identified for their rich socio-cultural and spiritual practices. They have established their superiority and skillfulness through their rich socio-cultural orientation. 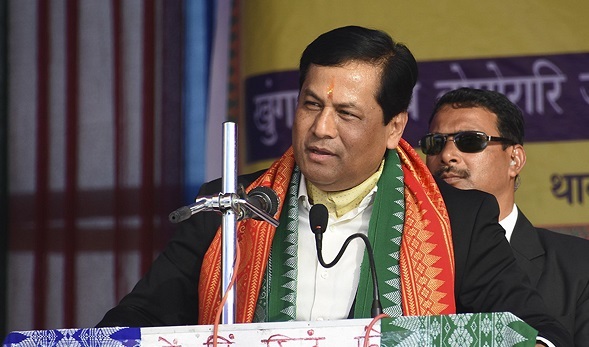 These were the observations made by the chief minister while speaking at the annual conference of All Bathou Mahasabha and silver jubilee of Udalguri district Bathou Mahasabha at Majbhat in Udalguri on Tuesday. Chief minister Sonowal said that good ambience leads a society to progress. However, some vested interest groups are hell bound to create disturbance in the society. Of late it has been seen that students have also been motivated to come to streets instead of concentrating on their studies. As a result of this future of the students is being dragged to uncertainty. He also said that in view of the progress made by the present state government, the opposition parties have also indulged in spreading canards to slow down the rate of development in the state. He also said that the present state government has come to power with its motto of securing the Jati. Mati and Bheti and the government will keep working towards the end without any compromise. Chief minister Sonowal also said that his government is duty bound to protect the interests of the indigenous communities of the state. He, therefore, appealed to All Assam Students’ Union (AASU) along with other intelligentsia to lend their full cooperation to look into full implementation of the Clause VI of the Assam Accord which would ensure safeguarding the interests of the ethnic communities of Assam. Therefore, the high-powered committee has been constituted to suggest ways and means for the complete implementation of Clause VI of the Assam Accord to ensure appropriate constitutional, legislative and administrative safeguards to protect, preserve and promote the cultural, social, linguistic identity and heritage of the ethnic Assamese. Hailing BTC Chief Hagrama Mohilary and his team for bring about absolute turn-around in BTAD areas, chief minister Sonowal said once known for its disturbances, BTAD areas has now transformed itself into vibrating areas. He also gave a snapshot of different programmes launched by the state government in the last two and half years. He also said that the previous governments in the last 60 years only paid lip service did not do anything substantial. BTC Chief Hagrama Mohilary while speaking on the occasion said under the present government all ethnic communities are living peacefully in the state and granting of ST status will not create any discord among different tribes living in the state. He also maintained that ST status to six communities will be given without disturbing the rights and privileges of the existing people belonging to ST category. Minister of Public Health Engineering Rihon Doimari, Minister of Tourism Chandan Brahma, MP Ramen Deka and MLA Charan Boro also spoke on the occasion. 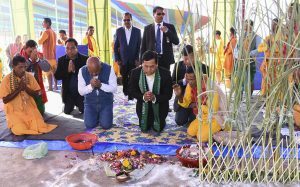 MP Biswajit Daimari, MLAs Binanda Saikia, Thaneswar Basumatary, Kamali Basumatary, Maheswar Boro, President All Bathou Mahasabha Mantu Basumatary, Executive Members of BTC, DC Udalguri Dilip Das and a host of other dignitaries were present on the occasion.